From the creative masterminds at Factory Entertainment comes the It SS Georgie Die-Cast Metal Boat. 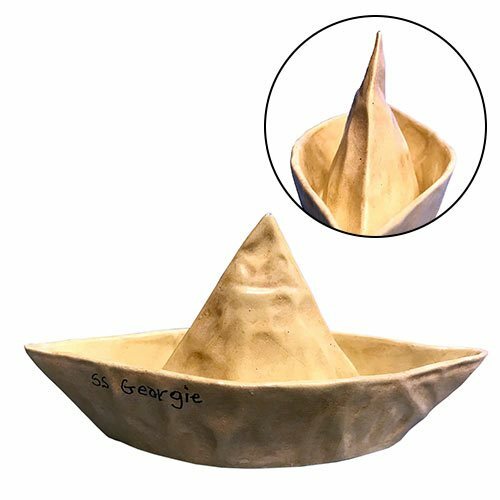 This die-cast version of Georgie's boat is based on the paper boat from the It movie. Bring home this TERROR-iffic die-cast boat today! Measures about 2-inches wide x 1-inch tall x 1-inch long. Ages 14 and up.